my dear friend Ramee asked me if i wanted to add a post for her Mother's Day Week on her blog. because i love and admire her so much, i said yes. honestly, my feelings are so torn this mother's day.....half of me wants to curl up in a ball and skip the whole entire day. but the other half is immensely grateful and excited to celebrate it with my sweet girl. i guess i should explain a little. i have two beautiful babies, a girl and a boy. my daughter is seven going on eight and my son had just turned 6, five days before he passed away. my son died on December 23 of last year. i am a mother of two, but can only hold one of them in my arms. i miss my beautiful boy with every ounce of my soul, and this mother's day will be hard. being a mother is the best thing about my life. almost eight years ago, my daughter gave me the greatest gift---she made me a mother. only 16 short months after that, my beautiful boy arrived. we didn't know it at the time, but we were about to embark upon the most difficult journey of both of our lives. my sweet boy, Connor, was born seemingly "normal", but we quickly realized that something was wrong. he stopped eating, studies showed that he was aspirating everything. he was placed on a feeding tube, and later had a GJ tube surgically placed. 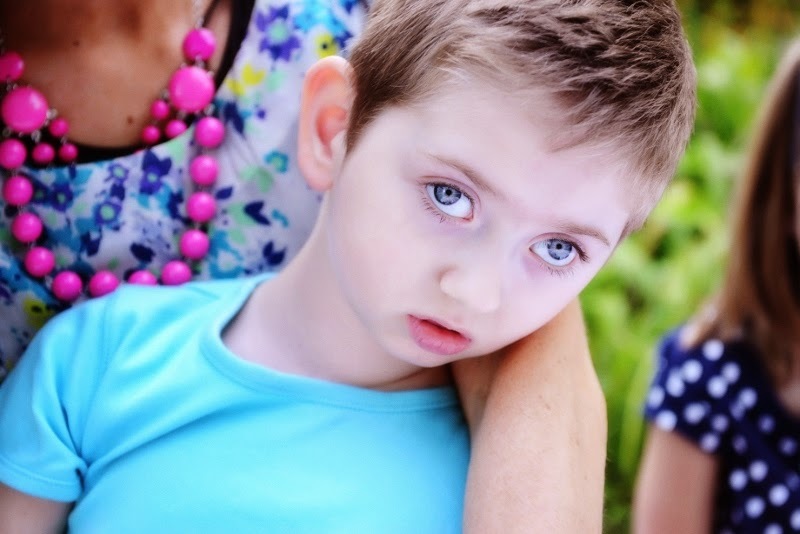 he was labeled with an "unspecified movement disorder". which meant if he was awake, he was moving. he could not control any of his movements. he couldn't sit up, or support his own head. his muscles could not perform normal bodily functions on their own. i did all this for him. he had a degenerative brain disease, which meant his brain was atrophying, or shrinking. the doctors just couldn't figure out why. or what. or how. from the time he was 3 months old up until the day he died we were searching for answers. my beautiful boy was undiagnosed, and i am still searching for answers. but this is all irrelevant. my son was a blessing in it's purest form. he was my saving grace, my hero. i stated that my daughter gave me the most precious gift by making me a mother, and she did. and then my son gave me his own special gift---he made me a better human being. taking care of my son was my greatest privilege. in the 6 years of my sweet boy's life, i was never separated from him for more than a few hours at a time. i never spent a night away from him. he was my constant companion, my favorite boy in the whole world, my everything. i know my beautiful boy was sent to me for a reason, for a purpose far greater than i will ever be able to fully realize---a divine purpose. and for that, i am eternally grateful. he was connected to me in a way only my soul can comprehend. i miss him every single second of the day. my arms long to hold him....my body just aches to have him back in my arms, back where he belongs, where he should be. this mother's day is going to be my first without him. thus, the reason half of me wants to curl up in a ball and pretend none of this is happening. i shouldn't be celebrating this day when my son is gone. i am his mother and i can't be happy on this day without him. my beautiful baby boy isn't here and he should be! how can i possibly do this??? but then i look at my sweet girl. and i am filled with love and hope and purpose. i have a daughter that needs me. i have so many reasons to live, and so many things to look forward to and be happy about. i made a promise to my son. the night before he died, i laid in my beautiful boy's hospital bed, right beside him, and promised him i would do everything in my power to take care of myself so i can take care of his sister the way she deserves. i promised my sweet baby that i would continue to live, no matter how hard it would be. every day it is hard. but i am here, i am surviving. by the grace of God, and with the help of my sweet angel, and my sweet girl, i am surviving. motherhood has given me the greatest blessings i will ever know. i am a mother of two perfectly beautiful children. and while i can only hold one of them in my arms this Mother's Day, my sweet boy will always be in my heart, and forever part of my soul. even death cannot take that away from me. I'm sure you already know about this research, but I wanted to get you in touch with this mom that has gotten her daughter in on a trial, that so far is working.